Jessica joined the Squad in 2009 to incorporate a different level of exceptional customer service to the practice. 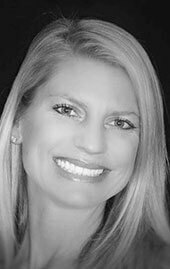 Jessica is originally from Louisiana, (Geaux Saints), and has accumulated over 15 years in the dental field in the many different aspects of a practice; from software training, practice and team consulting, to management. It was not until Jessica took a break from dentistry and opened, owned, and operated her own women's clothing boutique that she truly realized what exceptional customer service meant. She implements these and other "over the bar" service skills into MOD Squad Dental that is reflected which each five star customer review that are sent in daily from our patients. "My number one priority is that our patients fully understand they are part of our dental family and not just a number or body in our reception area," Jessica shared. Jessica enjoys spending quality time with her husband and their 5 boys catching up on the latest football game or planning their next family outdoor adventure. 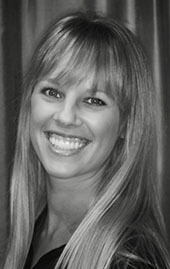 Kaylyn started her dental career with MOD Squad Dental and Dr. Friedman back in 2008 as a sterilization assistant. 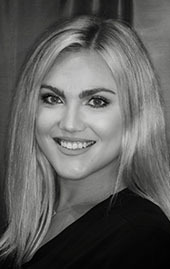 Kaylyn's love and passion for dentistry combined with her exceptional learning skills quickly advanced Kaylyn to Dr. Friedman's lead dental assistant. Accepted into dental hygiene school and graduating top of her class, Kaylyn is now MOD Squad Dental's lead dental hygienist. Recently married, Kaylyn and her husband, Bobby, enjoy spending time with their family and friends as well as outdoor activities such as beach yoga and mountain biking. All the way from the Ukraine, where Anna was born is raised, we are so thankful we found this gem of a hygienist. She moved to the United States in 2009 with a passion to help others. Anna was raised by a family of physicians, so naturally she inspired to have a career in the medical field. Anna attended South Western College where she graduated top of her class. 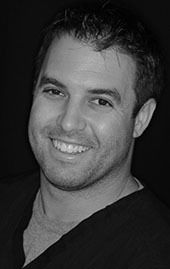 "I love getting to know my patients and spending my days educating them on achieving their optimum dental health", shared Anna. When she is not adding a little sparkle to a smile, you can find Anna staying active chasing around her 4 year old son, playing in her garden, or visiting unique restaurants as she loves food from around the world. Outside of the practice, as a third degree black belt, Brandon enjoys teaching Tang Soo Do to both children and adults, kick boxing, as well as with the Spartan community building and racing their challenging courses.